This is a beautiful memorial for your dear friend. It is suitable for indoors or outdoors. Many families use these sandstone memorials to place over their home grave or in that special place where you have scattered their ashes. 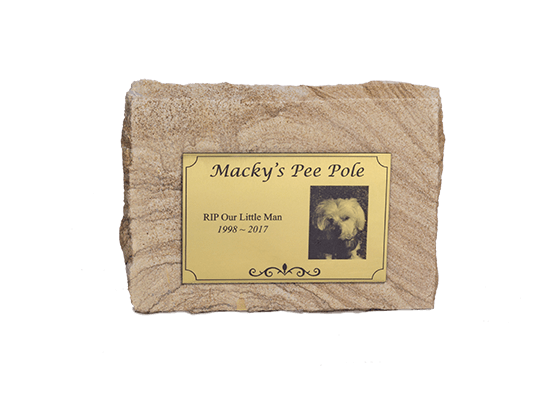 Because of its beauty, many families use this plaque as a memorial for pets that passed away long ago and still have a special place in their homes. Includes engraving of your choice.